August 3, 2015 bcalvanocoachingLeave a Comment on Weekly Angel Oracle Card Reading for August 3rd through the 9th. Weekly Angel Oracle Card Reading for August 3rd through the 9th. Join me this Saturday, August 8 at 4pm EST on BlogTalk Radio live or on replay. http://www.blogtalkradio.com/letsasktheangels/2015/08/08/aligning-with-your-hearts-wisdom Call in for a reading at 424-675-6837. 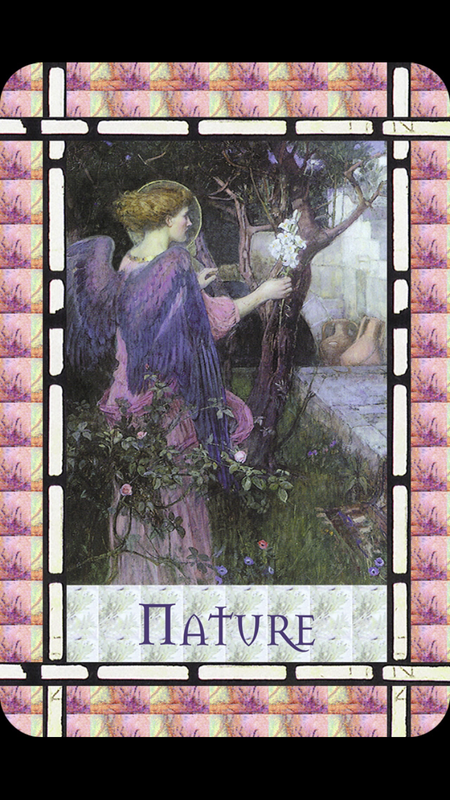 This week I was guided to use the ‘Healing with the Angels Oracle Cards’ by Doreen Virtue. 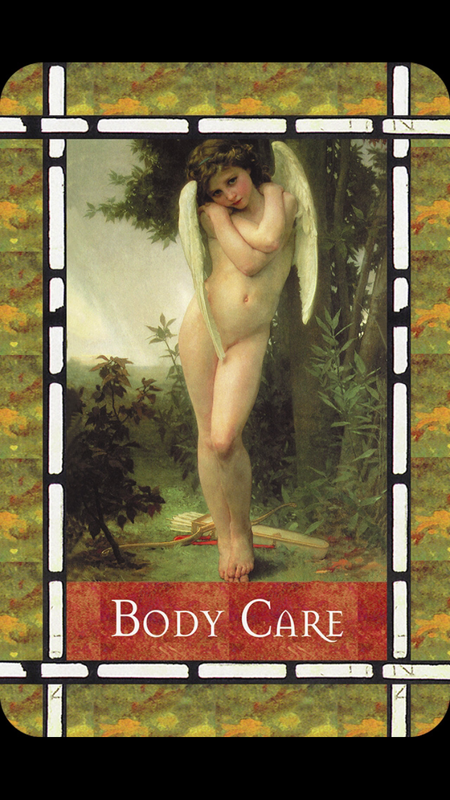 For Monday and Tuesday we have the message,” Body Care: The angels urge you to care of your physical body. You are asked to eat healthful foods, to exercise regularly and to avoid toxins. Many people will respond by saying you don’t have the time to exercise or the money to purchase healthful foods. The angels want you to know you can ask them for help with both of these issues! Allow the support of others including the angels to take better care of yourself. Pay attention to what your body is telling you. You may need more restful sleep, to drink more water, eliminate junk food, get some bodywork such as a massage or chiropractic care. The angels can assist you with any aspect of caring for yourself. For some it may mean addressing persisting addictions through a 12 Step Program.. The more you honor and respect your physical body the more peace and energy you will have. Listen to the guidance your angels and body are giving you and take some actions this week! For Wednesday and Thursday we have the message,” Serenity”: You are moving into a time of greater inner peace and tranquility. This message follows beautifully after the first. By honoring and taking care of your body you begin to feel serene. This message addresses that serenity is what we are really craving instead craving for unhealthful foods and substances. Serenity can be ours if we follow through with messages we are receiving to take better care of ourselves and life. Our logical mind cannot fathom that we could actually have serenity in the midst of turmoil or uncertainty. The angels want you to know that it is possible. Serenity is not contingent on circumstances. It is a choice. When you work towards serenity and your life challenges lessen and disappear. 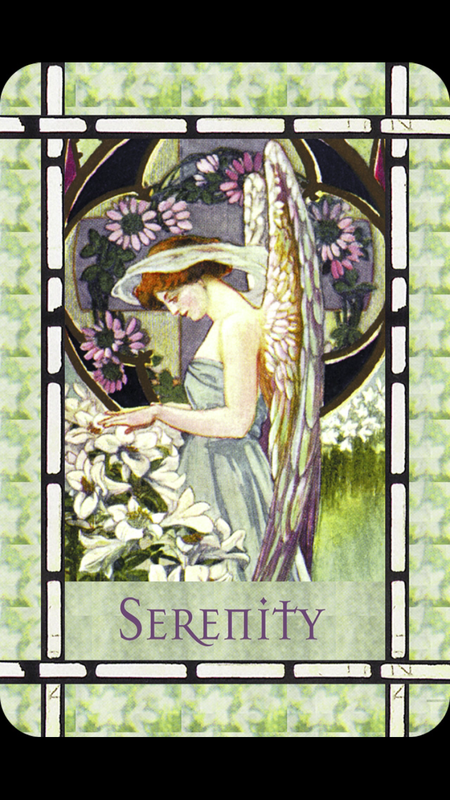 Serenity is your natural state of mind and the angels are now working with you to actualize this. Serenity takes mastery but it is attainable especially if you call upon your angels for support. They are with you at his special time! For Friday and the weekend we have the message,”Nature”: Spending time alone in nature is important for you. How often do you feel really connected to Nature? The angels are asking you to find ways to connect with Nature daily even if it is only for five minutes in a garden. Here in lies the answer to your stress, concerns, worries and anxiety about your life’s situations and circumstances. By doing so you will feel connected, clearer and peaceful. This message perfectly follows the first two. Notice the landscape that is available to you. For some this message is a gentle push to work towards a career with nature or animals – now. Take some time this week to acknowledge the beauty of nature, what it means to you and make a commitment to connect to it daily in your world. This week the angels support us in attaining serenity by taking care of our body and connecting with Nature. Many of our worries and concerns will disappear by doing so. No matter what the struggles or chaos you may be experiencing you can achieve serenity if that is your desire. The angels are giving us their undying love and support. Tune inwards, listen and see how it affects your ability to withstand the difficulties in your life this week. Serenity is always available. By law of attraction you will draw to you your heart’s desires when you are peaceful and serene! Note: My regular Saturday radio show is often rescheduled due to my Saturdays now being filled with my in person angel card reading sessions. Follow me here by email or at my show on Blogtalk to receive the lastest updates on new shows being aired! Thank you! Previous Weekly Angel Card Reading for July 27th through August 2nd.